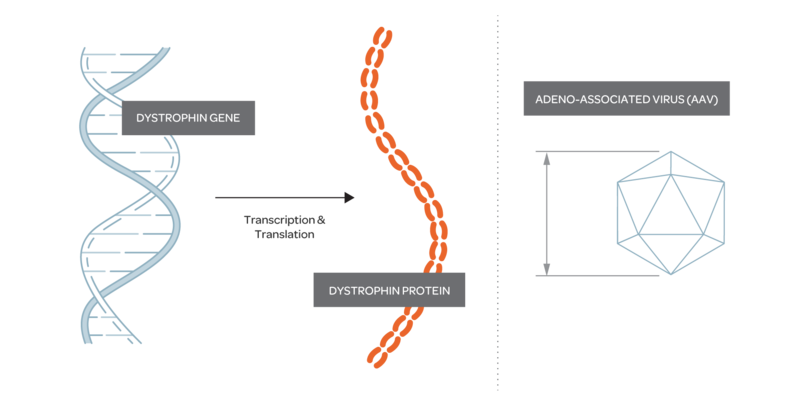 Gene therapy is a natural area of focus for Solid because it has the potential to address the root cause of Duchenne muscular dystrophy (Duchenne), the absence of the dystrophin protein. In the last decade, significant progress in understanding the dystrophin gene and its manufacturing process has advanced the field greatly. 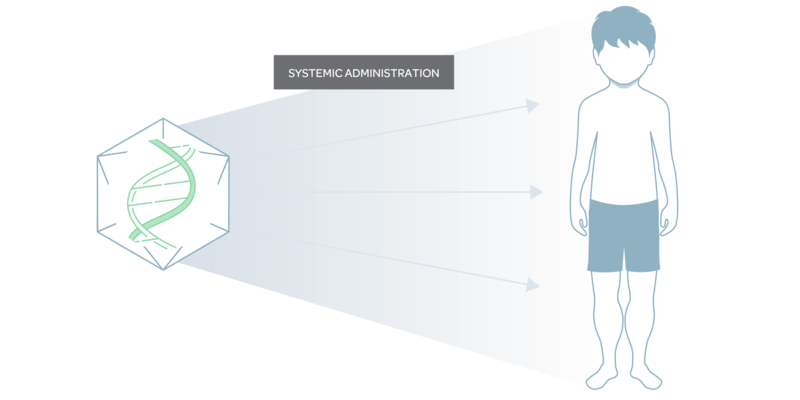 SGT-001 is an investigational gene transfer (a type of gene therapy) that enables the systemic delivery of a smaller, but functional version of the dystrophin gene, called microdystrophin, to muscles. SGT-001 is currently being investigated in our Phase I/II IGNITE-DMD clinical trial. In gene therapy, the vehicle that enables delivery of genes to the body is referred to as the vector. The most common vectors are small viruses, derived from adeno-associated viruses (AAV), which are not known to cause diseases. However, because the dystrophin gene is so big, these viruses do not have the capacity to carry its full sequence. Over the past two decades, scientists have identified key components of dystrophin, allowing for the creation of synthetic microdystrophin genes that are believed to retain the most critical functional domains of the larger version yet are small enough for an AAV to carry. SGT-001 delivers a unique microdystrophin to both skeletal muscle and the heart. Importantly, because it is not-mutation specific, patients may be amenable to this investigational treatment regardless of what gene mutation led to their Duchenne. 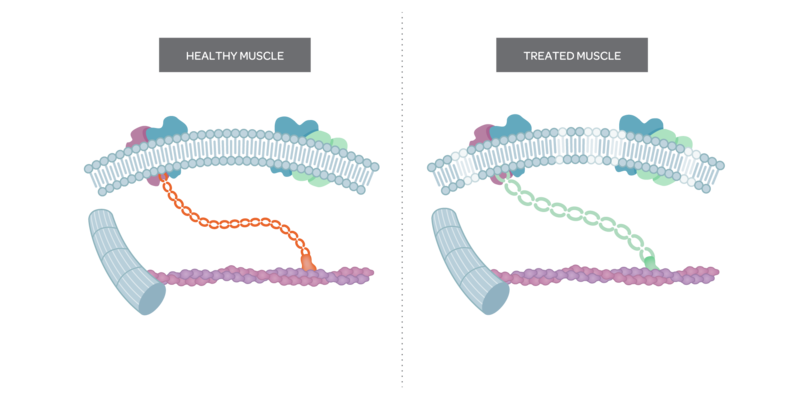 In preclinical studies, a single administration of SGT-001 led to long-term expression of microdystrophin in muscle and significant improvements in muscle function. AAV-mediated gene transfer may be a meaningful way to replace the mutated dystrophin gene. However, the natural dystrophin gene is too big to fit into AAV. 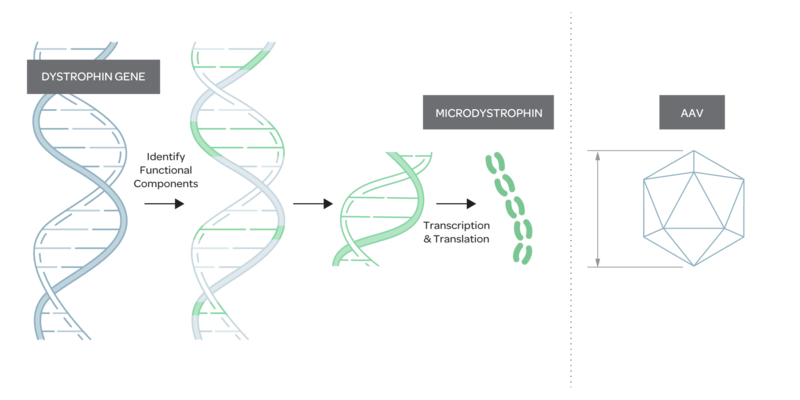 Microdystrophin is a version of the dystrophin gene that retains the essential elements yet fit into AAV packaging constraints. Carrying the microdystrophin gene, the AAV can then be administered systemically to the body. If successful, the body will utilize the newly produced microdystrophin protein similarly to dystrophin, resulting in a healthier muscle function. The safety and efficacy of SGT-001 are currently being evaluated in IGNITE-DMD, a Phase I/II clinical trial. For more information on this clinical trial, please visit www.clinicaltrials.gov and look for the study ID number: NCT03368742. We are also actively exploring the next generation of gene therapy candidates to further refine the technology for treatment and cure of Duchenne.